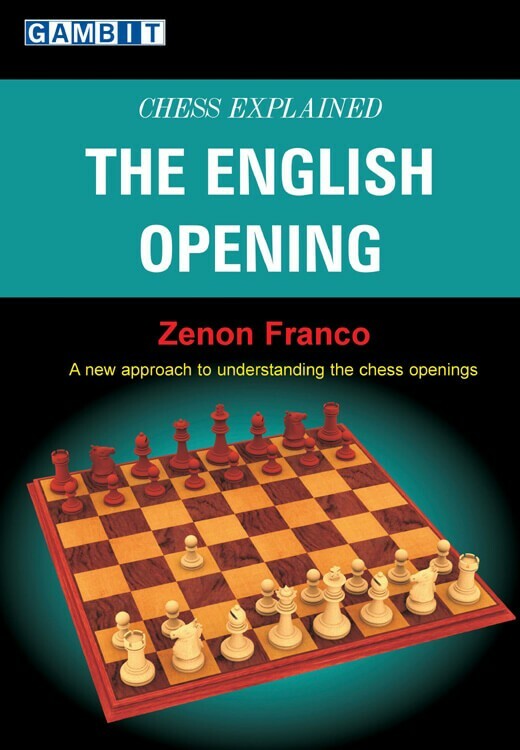 Chess Explained is a new series of books about chess openings. They are not theoretical works in the traditional sense, but more a series of lessons from a chess expert with extensive over-the-board experience with an opening. You will gain an understanding of the opening and the middlegames to which it leads, enabling you to find the right moves and plans in your own games. It is as if you were sitting at the board with a chess coach answering your questions about the plans for both sides, the ideas behind particular moves, and what specific knowledge you need to have. The English Opening is a flexible and dynamic choice for White, which avoids a great deal of sharp and well-mapped opening theory. It is popular with all levels of chess-players, and has been used to good effect at world championship level by Kasparov, Korchnoi, Botvinnik and other greats of the game. The English gives rise to an immense variety of structures, ranging from reversed Sicilians to Hedgehogs and fluid or locked central structures. It is an opening where strategic mastery of typical positions is of immense benefit, and where Black needs to combine circumspection and vigour to obtain a viable game. Zenon Franco is a grandmaster from Paraguay who now lives in Spain. He is an experienced chess trainer, his most notable pupil being Paco Vallejo, now one of the world's top grandmasters, whom he taught from 1995 to 1999.